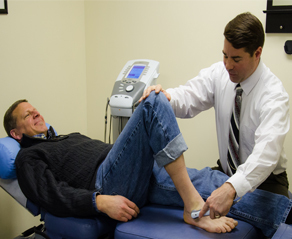 Naples Valley Chiropractic, located in the historic village of Naples, is centered in the pristine Finger Lakes region of New York State. Dr. Scott Waldeis provides premier chiropractic and nutritional services in a family oriented practice. Naples Valley Chiropractic desires to provide the highest quality of chiropractic care to those entrusting their health to us. We strive to create a friendly and inviting environment where we focus on giving personalized attention to the healthcare needs of our patients in a professional manner.